Two teasers this week! One to make you laugh...and one to chill your bones!! 'You'll just distract us,' Kraven sneers. **please don't shame me for these! 1. THE RETURN by Jennifer L. Armentrout--I am SO ashamed to say I haven't read it yet, I don't know what happened! I think when I finally got my copy, I was struggling to read through review books and then I was likely trying to read books for signings...but once I know I have The Power, I will so be binging these two! 2. 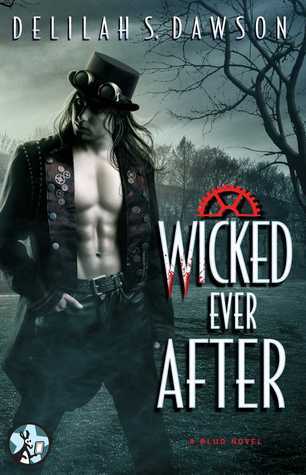 WICKED EVER AFTER by Delilah S. Dawson--we can basically call this post my shame face post! I loooved Delilah's Blud series and was ecstatic to here we'd see Criminy again...and yet...it's still unread! 3. 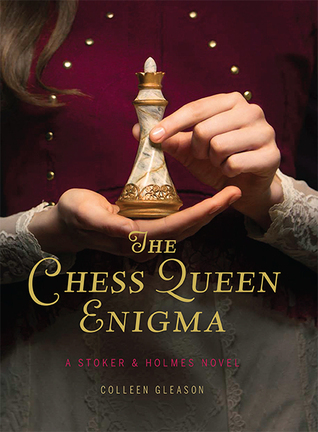 THE CHESS QUEEN ENIGMA by Colleen Gleason--I think what threw me off here was I finally did not get an ARC in this series! Sob! I really love this one though! It's sooo good! 5. 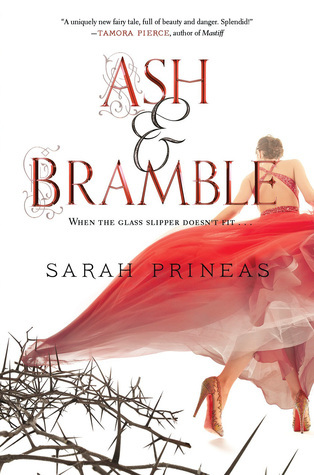 ASH & BRAMBLE by Sarah Prineas--another one of mixed reviews, but one I was excited for! This one had a mish-mash of fairy tales going on, so I was super excited for it as well! 6. 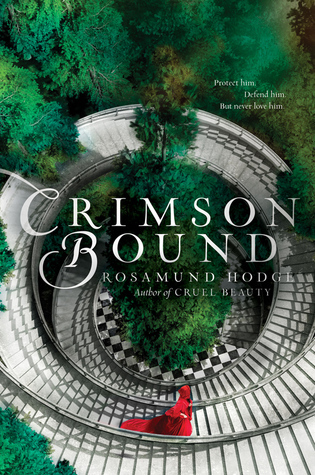 CRIMSON BOUND by Rosamund Hodge--a sort of Red Riding Hood retelling and another fairy tale that is escaping me at the moment! But since I loved Cruel Beauty, I was eager for this one! 7. 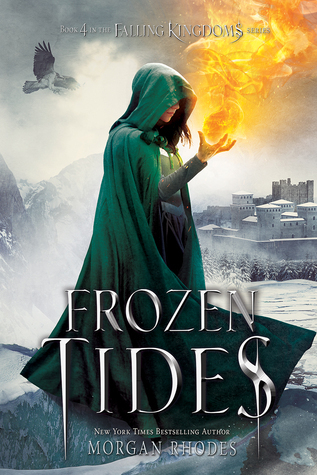 FROZEN TIDES by Morgan Rhodes--I am totally in LOVE with this series, but yet come release day and near my birthday, I did not get around to reading this one yet! It saddens me...though I know the cliffhanger that's likely there will kill me and if I can lessen my pain by a month or two I know I will be grateful in the long run! 8. SIX OF CROWS by Leigh Bardugo--so many amazing reviews and I have yet to read it! I am really trying to get this one up in my queue, but at the moment I am trying to get caught up and finish a few series first! 11. 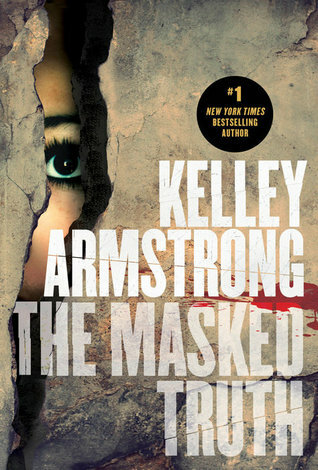 THE MASKED TRUTH by Kelley Armstrong--having any Kelley Armstrong book in my TBR pile this long just isn't done! Not sure what happened to me this year! 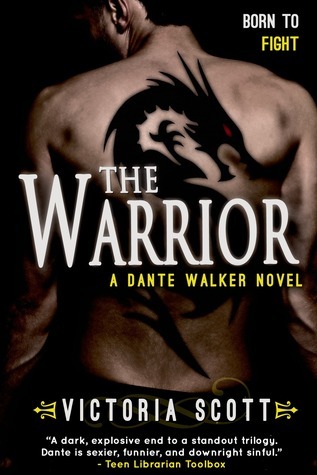 The Warrior... gosh, I completely forgot about this series. This is a book I still need to read. Thanks for reminding me. Ten Thousand Skies Above You... yep, that ones still sitting on my shelf too. Hopefully we'll both find time to read it in 2016. Six of Crows YES!! Girl, read that one ASAP!! I also have Crimson Bound in my pile of books to read from last year, hopefully I'll get to it soon! Hi Jessica! Six of Crows was my favourite book of 2015! But I understand the series completion issue. I have so many to finish too! Hope you find some time to read these gorgeous books! All new-to-me! Hope you get to enjoy them in 2016! The first teaser made me laugh. I ditched Ash & Bramble at about page 50. And I haven't gotten to that Kelley Armstrong either. 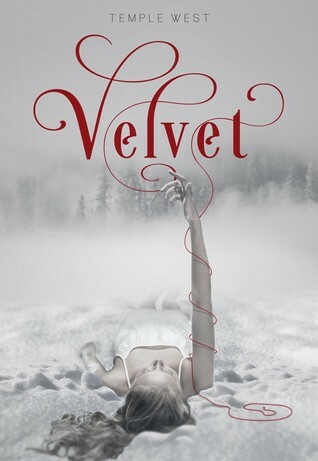 velvet s on my list too. Ten thousand skies is good so good. just as good if not better than the first. Read it! I will be reading the masked truth soon. that one looks intense. Well there is another year to stack up your tbr list. Maybe you can fit these in too. I actually purchased the audio of Six of Crows meaning to get to it right away... and haven't. I need to... and soon! I, too, have heard only great things about it! Yeah, it's not the 1950s anymore! Crimson Bound is on my TBR, though it wasn't on my list this week! Oh, books, books all over the place! That's a beautiful image! I also missed Wicked Ever After! I love Criminy !!!! Frozen Tides is on my list, I am in love with The Falling Kingdoms! 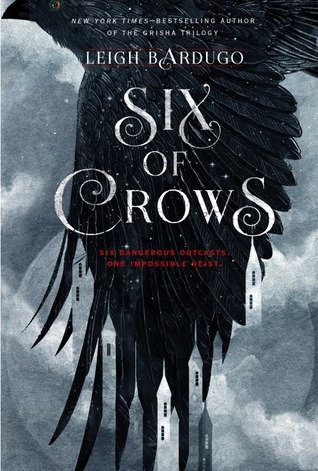 And my current read is Six of Crows and I also love it! Six of Crows is great. And I've heard good things about The Masked Truth and Frozen Tides (I'm hoping to start the Falling Kingdoms series this year). 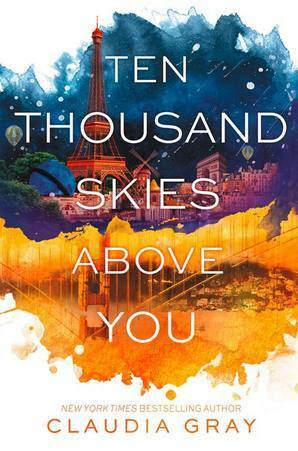 I just read Ten Thousand Skies Above You and it was really good. Great list! I NEED to read these Dante books! I am so behind! We only have 2 in common :D but that's good because I get to know about other great books I missed! Great list. I actually haven't read any of these yet either. I do have Six of Crows on my list too. I didn't know about Crimson Bound. Now I want to read that right now! A lot of these I haven't read yet. I actually read Crimson Bound in the last week of December, so I made it on that one! Hopefully we'll get to everything we missed soon. The Maked Truth made my list too, but I hope to buy it soon. Gotta love the cover for The Chess Queen Emgima!! I may have to add this title to my ever growing reading wishlist. Happy reading to you in 2016!! I've never read anything by Victoria Scott but I really like the writing style I see in your teasers. The teaser on my adult blog this week comes from a thriller - The Eighth Circle by Sarah Cain. Happy reading! Ooh, I like feisty characters and some good ole sarcasm. LOL Sounds fun. Thank's for stopping by earlier! These all look fantastic! Ten Thousand Skies Above You looks very intriguing but that cover for Crimson Bound is gorgeous! 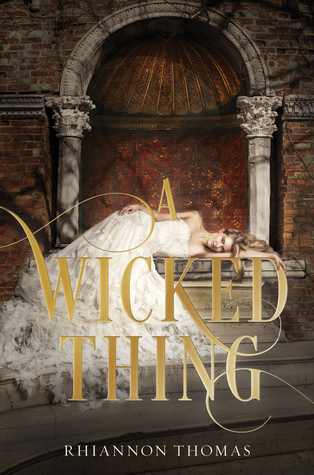 Six of Crows is on my TBR :) Hope you enjoy Wicked Ever After! I meant to get to The Warrior and didn't. Love the teasers though. Six of Crows was on my list too, so don't feel too bad. I want to read The Masked Truth too, it sounds so good! I hope you get to read these sometime soon! Great teasers! That library sounds like my worst nightmare! Thanks for visiting my TTT! Happy reading! I really enjoyed The Masked Truth, although I didn't quite know how to rate it. It was almost two different stories. Very well done though, with two unreliable narrators leaving you to question everything. I need to read Ten Thousand Skies Above You soon. I loved the first one. Ooooh I missed Crimson Bound and Ten Thousand Skies as well. Maybe this year! Highly recommend you try out Ten Thousand Skies Above You. All I will say is that it will make you want the third book even more! OMG you have to read The Return! JLA really delivers and Seth is awesome!